Toblerone. . Wallpaper and background images in the cokelat club tagged: chocolate toblerone. Taste good because I ate it. Looks like a stone! But yummmmy! Amazing chocolate! I love buying this at the store every now and then. 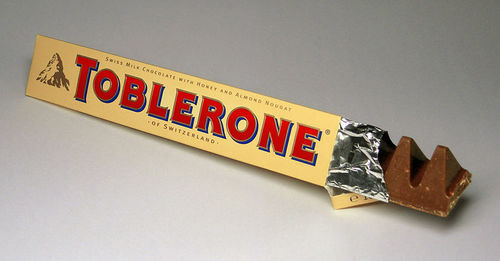 I once got a REALLY HUGE TOBLERONE BAR for Christmas one year. It was the best thing ever!